Here in the US, people have been writing about the frigid temperatures, and it really has been very cold this season! The good news in the US is that most people have access to warm housing and their livelihoods are not agrarian. This is not the case for Mongolia, where much of the population lives nomadically and relies on raised livestock. Mongolia is also experiencing a brutal winter (or dzud) with temperatures reaching -40 C. The Telegraph reports that 2.7 million head of livestock have died from the cold so far. (The link to the Telegraph is for a gallery reporting on this and contains some graphic pictures of dead animals. If you are sensitive to this sort of imagery, be aware.) With winter lasting for several months more, the results could be devastating. 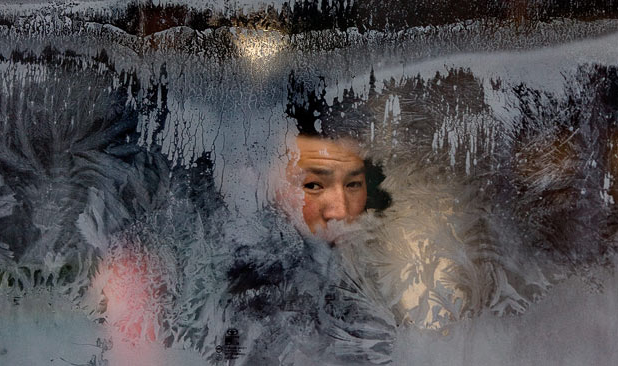 When I bundle up every morning to take the bus to work, I think about Mongolia. As the winter continues, I’ll keep posting about how things are going in the land of the blue sky.